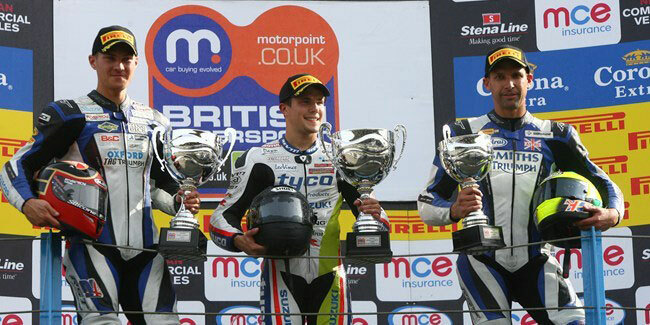 New Yorker PJ Jacobsen celebrated a maiden victory on his debut weekend in the Motorpoint British Supersport Championship protected by Datatag, but it was a close run affair ahead of Christian Iddon and title challenger Glen Richards, as series leader Jack Kennedy crashed out of contention. 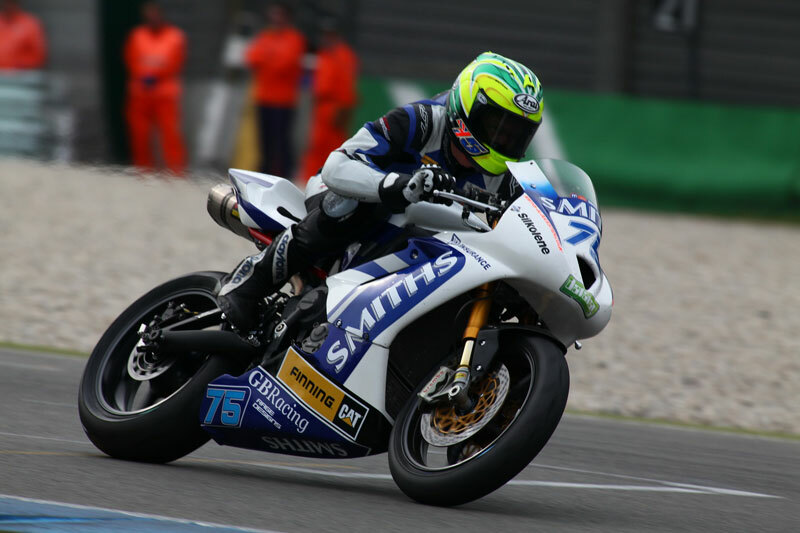 Raymond Schouten made the best start but Kennedy was reeling him in rapidly and soon the MarTrain Yamaha rider was heading the pack on the second lap, with Glen Richards running in third ahead of Jacobsen. However next time around, Richards was second and barely two tenths of a second down on his title rival. The fight was fierce at the front with Kennedy holding the advantage, just, but disaster struck for the Dubliner on the sixth lap when he lost the front of going into a right-hander, with both him and the bike somersaulting spectacularly across the gravel. 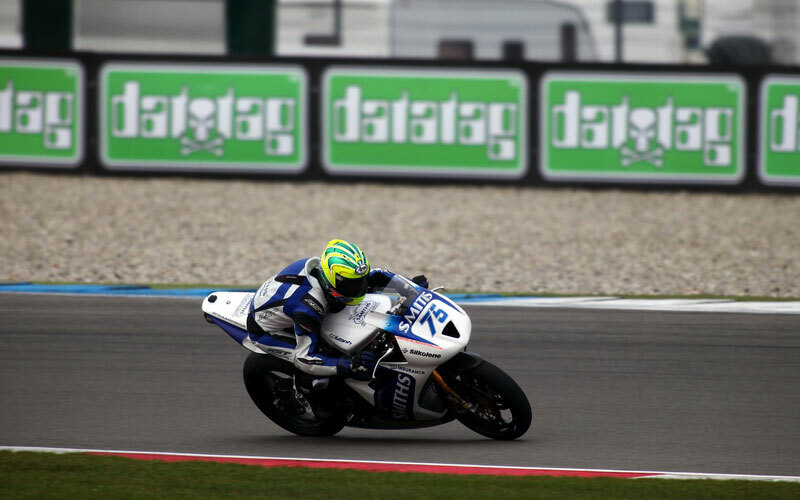 Richards had the lead, but not for long before Schouten, enjoying his debut with the Seton Tuning Yamaha team on home soil, was back in front with Saturday's race winner Iddon aboard the Oxford TAG Triumph third from Tyco Suzuki's Jacobsen locked in a four rider thriller at the front of the pack. Richards was riding hard to regain the lead but at the same time was having to protect his position to fight off the ever present challenge of Iddon but they were both upstaged by an audacious twelfth lap move by Jacobsen as he snatched second place. And Richard Cooper closed right up into contention in fifth place. 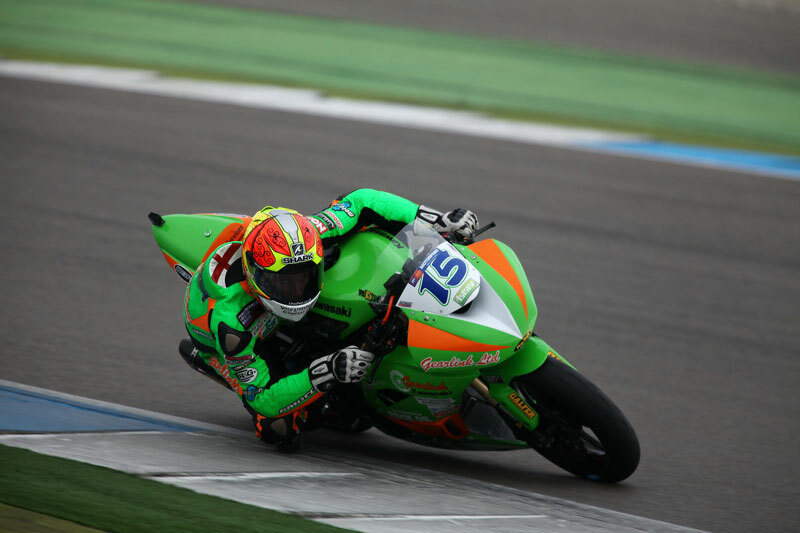 Jacobsen took the lead next time around but in a now fierce five rider confrontation Iddon grabbed second on the penultimate lap and then made a determined last corner lap but the American held on to take his maiden victory. Iddon was a close second with Richards grabbing the final podium spot for move within 4.5 points of the leader in the title stakes Kennedy. Schouten had to settle for fourth ahead of Cooper and Cup winner Glen Irwin.